← Finally the day has arrived, we are in our home! On Monday, January 21, the Missionaries of Charity dedicated their new home that was built three years after the earthquake that destroyed their house. 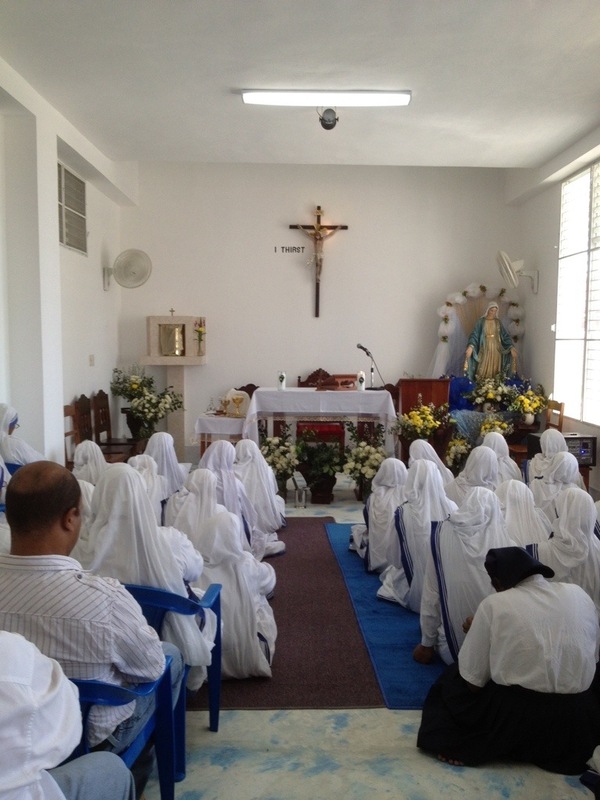 All the Missionaries of Charity in Haiti, (over 40 of them) and their Brothers, were present for the Mass and blessing. 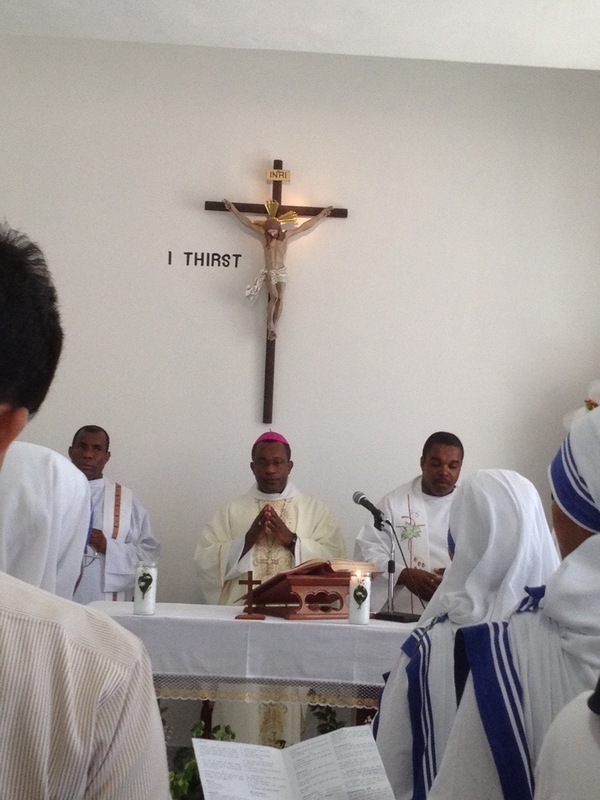 Mass was celebrated by Bishop Launay Saturne, and priests who serve the sisters concelebrated. 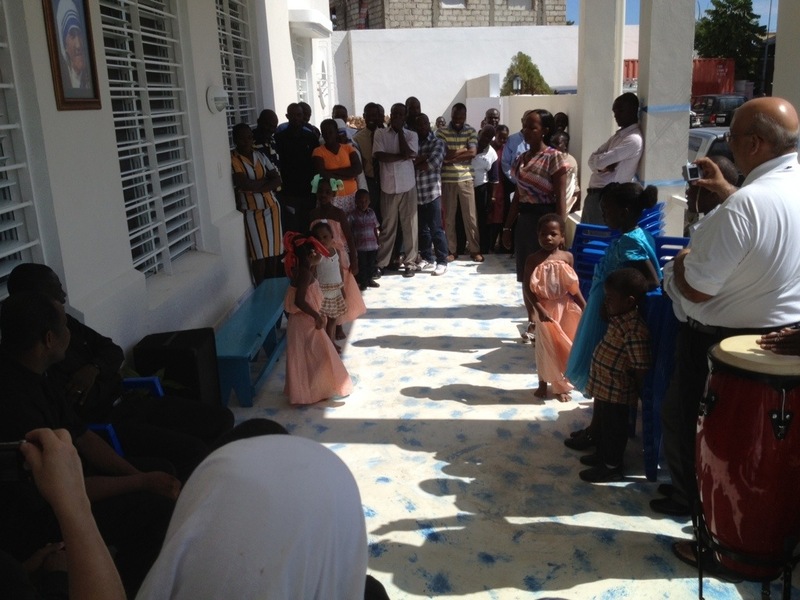 After the Mass and blessing, the children whom they serve danced and told a Haitian story. The sisters had a reception for all the guests. 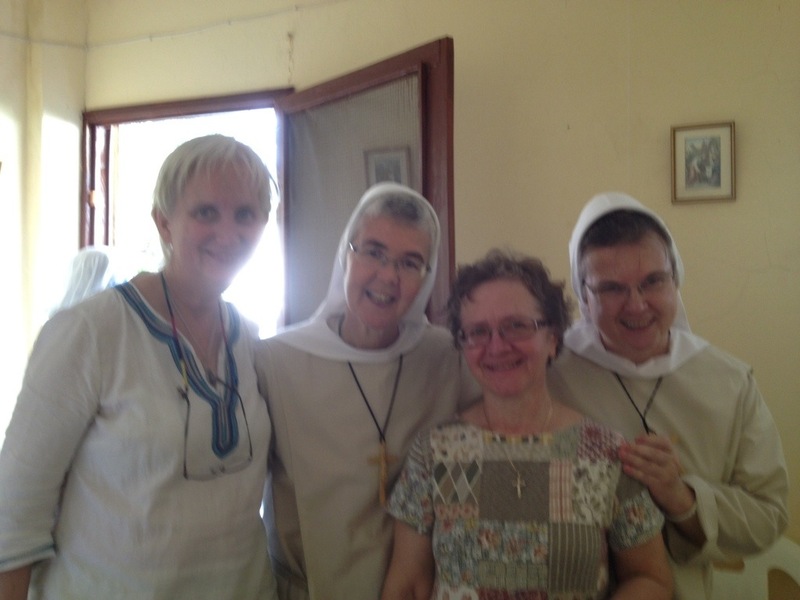 We met two women from Philadelphia and Coraopolis, PA, who work with the Missionaries of Charity. Both of these women know Felician Sisters. We were very happy to have dinner with the Sisters because we were also moving into our new home on this day and had no time and food to cook. God is good.